Do you intend to redecorate your bathroom? Well, if your answer is yes, don’t settle for anything less than the best wall hung toilet with a customized style that complements your bathroom. We all use our toilets every day, so adding a tad of comfort to it would be a prudent idea. There are several reasons why wall mounted toilets have gained tremendous popularity over the last couple of years. Such toilets are a fantastic option for homeowners who have limited space to work with Wall hung toilets highlight a compact design yet provide reasonable legroom alongside a ton of functional features. What’s more, these contemporary toilets come with a variety of designs and choices which allow you to decorate your bathroom in line with your tastes and preferences. In this article, we’ve researched and compared several wall mounted toilets that we thought would make the clear-cut difference. We’re going to give you a detailed overview of each of the three models. We’ll also cover everything there is to consider when selecting a wall mounted toilet. After reading through this wall hung toilet reviews, you’ll understand how these toilets can benefit you, and it’s about time you ditched your dysfunctional toilet. We’ve also narrowed down our list to the top three best wall hung toilets available in the market. TOTO is a reputable brand that offers toilets with the best style, design, and functionality. This bath manufacturer is committed to creating products that not only connect you with water but also enrich your everyday life. Toto’s modern Aquia fixture remains an incredible addition to your restroom. TOTO Aquia CT418FGNo.01 Dual-Flush Wall-Hung Toilet is one adorable product with universal height and superior performance. It’s designed for all users including those who have difficulty in standing and sitting. It comes with an elongated shape, which is medical-recommended for comfortable and natural posture. This Toto toilet model is an epitome of elegance and modernity. It consumes minimal space and leaves the rest for your legroom. It brings the patented SanaGloss ceramic glaze technology, which restricts the buildup of mold, mildew, and bacteria within the inner surface of the bowl. It’s a great feature that saves you a lot of water in cleaning and makes it very hygienic to use. Regarding dimensions, this Aquia model has streamlined measurements of 23.8 X 15.8 x 17.5 inches. It is a good item that takes a proper place in your bathroom. You can pair it with an in-wall tank to save on additional space. 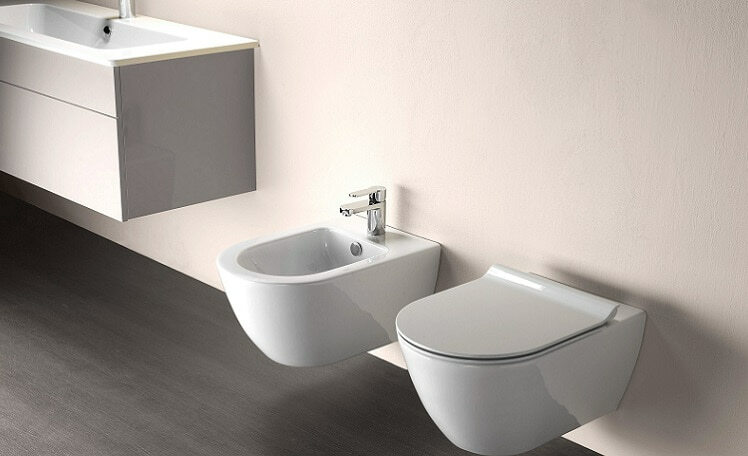 The combination of an elongated bowl shape and universal height make this item ideal for washrooms that are compact. This item comes as standard with a dual-max flushing system that effectively provides low water consumption of 1.6 and 0.9 GPF, consequently reducing your monthly bills. It equally features polished chrome materials that make it durable and white. Its color never changes due to its unique elements, which means your washroom will remain stunning all the time. TOTO AquiaCT418FGNo.01 Dual-Flush Wall-Hung Toilet has superior performance, effective cleaning technology and water efficiency technique. One thing to consider is that this product is devoid of an in-wall toilet tank system as well as a flush plate for toilet and wall seat. This makes it an expensive model to buy for the washroom. However, once you’ve bought it for your home, you will find that your private space will forever stay clean and hygienic. Above all, this wall mounted toilet model is easy to clean. This implies that your bathroom will always remain with a pleasant smell. American standard is a premium toilet provider whose products can transform the overall arena of a washroom. This manufacturer has gained immense popularity over the years for producing high-quality products with a unique look. The American Standard Glenwall 2093.100.020 Elongated Pressure Assisted Wall-Mounted Toilet is one such product that meets your ultimate expectations. This elongated pressure-assisted toilet combines the tank and bowl to provide a comfortable and relaxed seat to pass on or off the toilet. A modern accessory of this caliber leaves plenty of space around it. This keeps the bathroom organized and clutter-free. The item showcases the quality and innovative design which stands out from the crowd. The manufacturer has engineered it with a robust siphon jet flush which effectively pushes water into the bowl. This system is eco-friendly and water efficient, consuming as low as 1.6 gallons per flush. 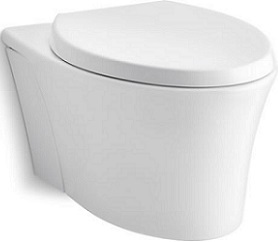 The stylish vitreous china toilet is easy to clean and lasts for a long time. This elegantly crafted toilet is standard with a side-mounted trip lever, which provides a powerful flush. The interior and exterior surface of this model highlights the EverClean technology. This technological element serves to prevent the growth of such things as bacteria, mold and mildew. It guarantees a clean and stunning bathroom all year round. This American standard toilet doesn’t come with carrier and seat. You can order them from a different supplier. This vitreous china toilet is non-porous and easy to clean with a glazed design. The flushing system is highly efficient as it is pressure assisted. This model comes in a simplistic design and comprises the appropriate detailing to give better aesthetics. Overall, this is one of the excellent wall hung toilet with ingenious features, performance and reliability. If elegance and design are what you need in a wall mounted toilet, then look no further than KOHLER’s amazing one-piece toilet. The product has a concealed carrier system and in-wall tank that highlights a minimalistic look. This bathroom fixture is a beautiful addition to any restroom as it ensures a clean, bright and hygienic look the whole day. 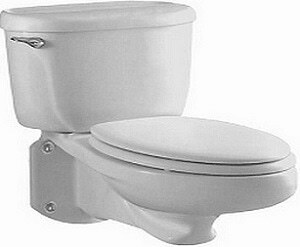 KOHLER K-299-0 one-piece wall mounted toilet comes with a compact elongated bowl that offers the necessary comfort. Its minimalist footprint allows you to save not less than 12 inches of coveted space in your bathroom. It features a sleek veil that is easy to clean and maintain. This wall-hung toilet presents the grip tight q3 seats, which is conveniently engineered with standard size and shape for the ideal sitting position. It’s additionally made vitreous china white material that is not only brilliant but also durable. This item doesn’t shed its bright color and makes your bathroom spectacular all year round. What’s more, the system can remove the solid waste with one single flush of fluid. This keeps the bowl shinning bright like a mirror. This water-efficient model proves handy in saving both water and money. Another great feature worth highlighting is the dual-flush actuator, which consumes about 0.8 and 1.6 GPF. With this low water consumption, you don’t need to worry about your monthly bills. One flush clears both light and solid waste without any doubt. KOHLER Veil K-6299-0 Elongated Wall-Hung Toilet Bowl is an excellent add-on to any bathroom for many reasons. The product comprises the mounting hardware, convenient toilet installation and the affordable price tag to mention a few. The only drawback is that the bowl and seat can at times cause discomfort. But overall, this product is highly recommended for anyone looking for the best wall hung toilet. You need to consider several factors before you ultimately buy your right wall hung toilet. The decision process is a tough one because the industry is growing bigger and better by the day. Many brands have focused on making the product smaller without compromising on comfort or seating space. Whereas style, price, and color are all vital, there are other relevant features to consider in your decision-making process. Our wall hung toilet reviews above will help you identify the top-rated products suitable for your washroom. Now, this comprehensive buying guide enables you to decide on the ideal wall mounted toilet model to buy. Let’s take a detailed look at the features that will help you select the appropriate wall mounted toilet that fits your bathroom. Choosing a product with a comfortable size and height is important. Before you make any actual purchase, ask yourself how much space is available in your bathroom. You wouldn’t want to buy an item with a huge bowl that occupies too much of your space. Purchasing a toilet with an in-wall tank can conserve your space. Consider the volume of water required for flushing prior to making up your mind. A dual-flush system helps you cut down water consumption. Buy a model that saves on water consumption with each flush if you need to conserve natural resources. While toilets that use lesser volumes of water are an excellent choice, make sure to pick one that comes with an effective flush. This is because an ineffective flush may require you to do multiple flushing. And this has the exact opposite result concerning water conservation efforts. 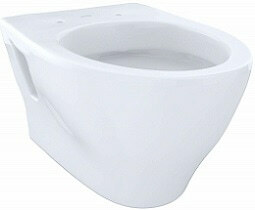 The bowl shape is also a crucial element when shopping for the best wall mounted toilet. You’d better choose an elongated model for ease of installing a wall hung toilet. A round model is relatively uncomfortable to use. Various circumstances come into play when selecting the bowl shape. Wall mounted toilets with a round bowl are easier to clean, unlike those with a narrow or elongated bowl. Here, the decision has entirely on your preference. You need to buy a wall mounted toilet that has a perfect seat height, especially if you’ve got aged persons in the house. A toilet with a universal seat height provides absolute comfort to every user. Toilets without this feature oblige users to adjust their posture each time they’re using it. Cleaning the toilet isn’t a walk in the park. It’s certainly a chore. And having to repeat the cleaning process more than once may not be among your best options. Choose a toilet model that’s easy to clean and maintain. You’ll need to opt for those models with the highest quality ceramics and vitreous china. Try to avoid the models with a very narrow bowl if you want something that’s easy to clean. Hopefully, this wall hung toilet reviews and buying guide will help you pick the top-rated mounted toilets without a hassle. We’ve designed this guide to give you an idea of what works and what doesn’t work for you. Finding a model that suits your washroom objectives is a breeze if you adhere to this guideline. In case you have any question regarding the best wall hung toilets, feel free to get in touch with us. You are also free to leave a comment below.